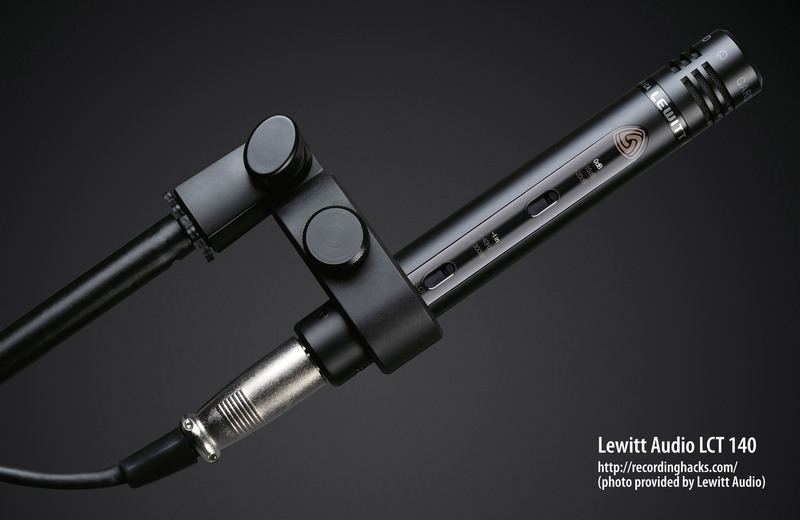 The LCT 140 is the entry-level pencil condenser microphone in Lewitt Audio’s Authentica series. 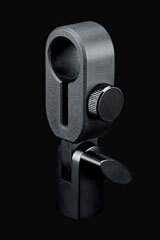 It has a fixed cardioid polar pattern. The mic’s capsule is a 17mm (2/3 inch) back-electret design, similar to the capsule found in the company’s LCT 240. Also like the LCT 240, the 140 provides electronically-switched pad and filter controls. One pushbutton cycles through three pad options — 0dB (disengaged), -10dB, -20dB. A second pushbutton cycles through three high-pass filter options — 0dB (disengaged), -6dB/octave rolloff @ 300Hz, -12dB/octave cutoff @ 40Hz. The current selection for each of these is indicated by a backlighted legend on the microphone body; these LEDs can be disabled. Note that the pad and filter options are identical to those on the LCT 240. The 140’s self-noise is 3dB lower (16dBA), but its max SPL is 9dB lower (160dB @ 0.5% distortion, with -20dB pad engaged). Finally, the 140 is 2dB more sensitive — suggesting that the LCT 140 would likely fare better than the 240 for recording quiet acoustic instruments or distant-miking ensembles. Like all the mics in the Authentica series, the LCT 140 uses surface-mount components, and a transformerless output circuit in its amplifier. 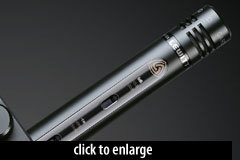 Lewitt Audio’s LCT 340 is the higher-end pencil mic in the Authentica series; in contrast to the 140’s fixed-cardioid electret capsule, the 340 offers detachable “true condensesr” capsules in cardioid and omni patterns. The LCT 340 is both higher in sensitivity and lower in self-noise than the 140.